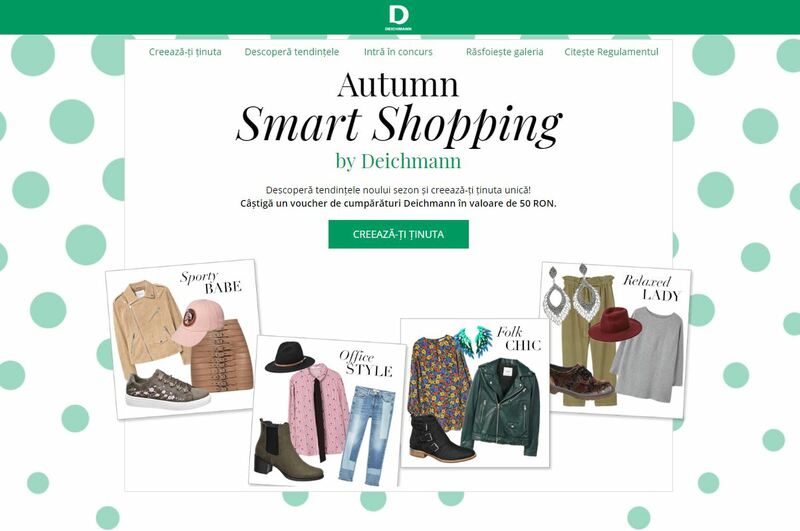 Brief: Deichmann wanted us to help them boost their brand and sales, by popularizing the idea that their shoes are easy to pair with every type of clothes or style. They asked specifically for a special online contest. Concept: To embody perfectly the ideas that Deichmann shoes go with everything, we created a special app. It invited our readers to mix and match Deichmann shoes and clothes according to their style and preferences. They created unique collages, just as their personalities. We empowered women to live fashion trends their own way in a fun and relaxed way. For each collage they created, they gained a chance to our raffle for Deichmann vouchers. Delivrables: Special website (copywriting, design, coding, management), app (concept, copywriting, design, coding and management), contest (mechanism, management), promotion.